I love shirt designs that I can use for hiking and outdoor adventures! 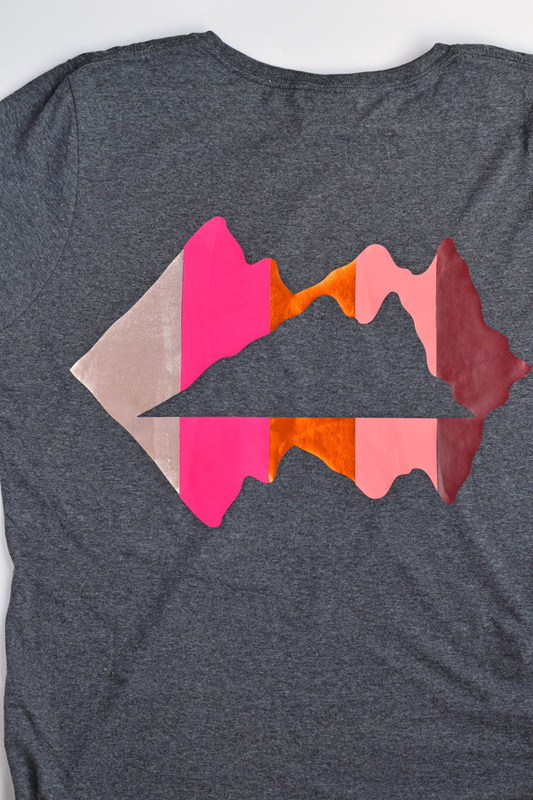 The mountains are also my happy place, making this Mountains HTV (Iron-on) Shirt Design perfect for me. Thank you to Happy Crafters for supplying the materials for today’s post. 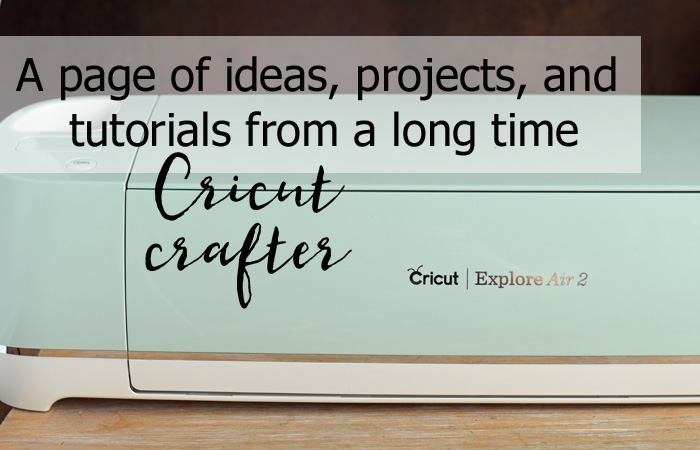 This post contains affiliate links, which when purchased through add no extra cost to the consumer, but help support this site to bring more Cricut crafting tutorials. Now that the boys are older, we have been doing more trail walking and hiking in the spring, summer, and fall. I’m excited to explore a few trails with them soon (come on, warm weather!). The mountains are definitely my happy place for three seasons out of the year (no snow for me), and I have been wanting to make a shirt to pay tribute to that. I feel like “The Mountains Are Calling and I Must Go” design has been done a million times over, and I wanted something a little different (even though I will probably wind up making one of those, too). 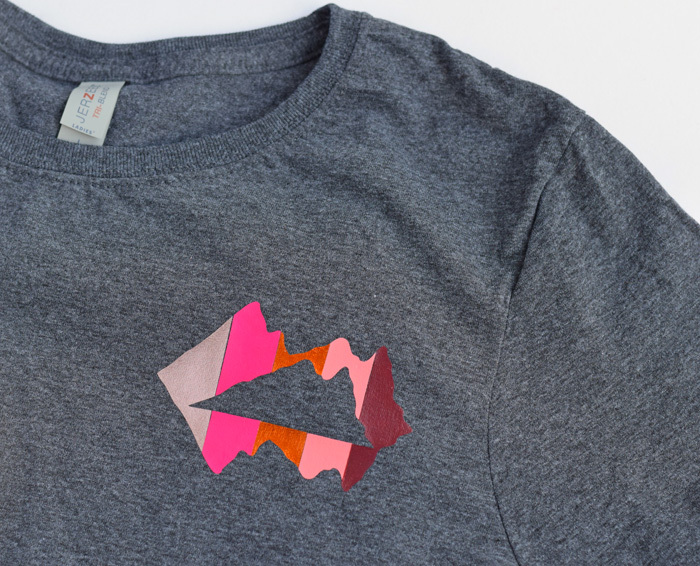 I have a multi-colored design tee that I won at a conference a few years ago and lovee, and I have been itching to do something similar but with the mountains theme. Happy Crafters recently contacted me to try out their heat transfer vinyl (HTV). 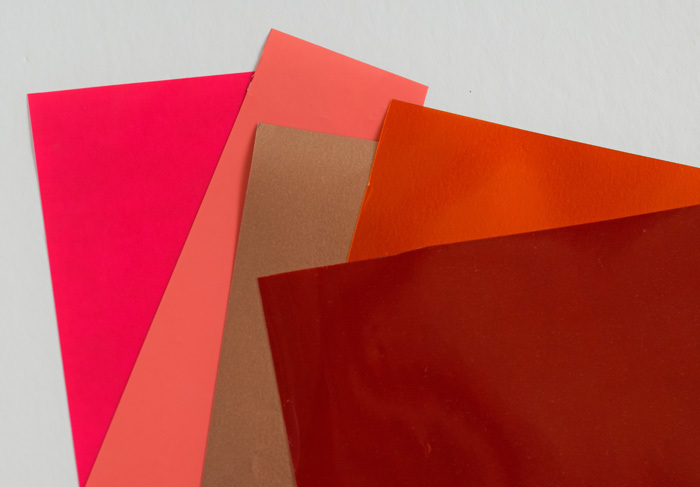 You all know that I have been loyal to Cricut branded vinyl, but I was drawn to the different color selections that Happy Crafters offers. PLUS they also offer a HUGE variety of blank apparel. I know that many of my readers are always looking for places to purchase blank t-shirts, bags, and more, and I wanted to check out the quality of the items for you before recommending them. 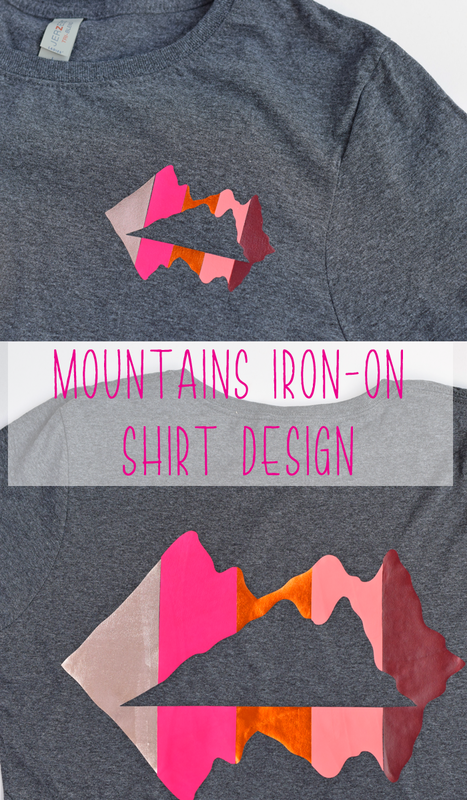 Happy Crafters sent me this t-shirt and a variety of metallic iron-on vinyl that I decided would be perfect for this Mountains shirt. 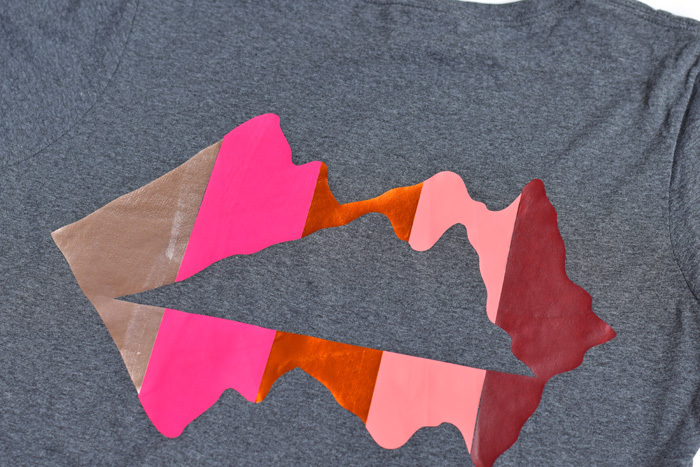 If this is your first iron-on project, read my article on “How to Get an Iron-on Vinyl Project Right the FIRST Time” before starting. For this shirt, I placed a large design on the back with a matching smaller design on the front over the left chest (where a pocket would typically be). Begin by measuring the back of your shirt where you would like the design to go. You want to determine the ideal width that you want the design to be. Jot this measurement down. Repeat with the front pocket area if you are adding the smaller mountain design on the front. Open Cricut Design Space. 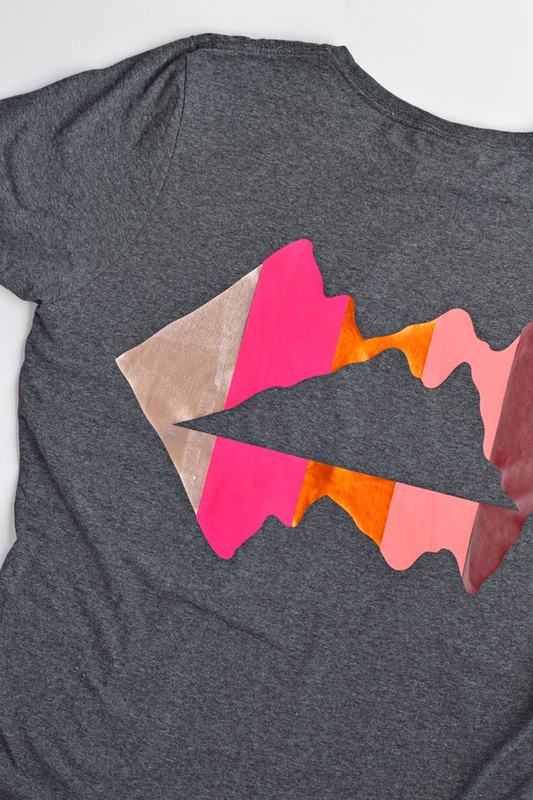 Click HERE to use my already designed Mountains Project File in Cricut Design Space! You can see that I have the large design for the back of the shirt and the smaller design in the project file. Feel free to use one or both. If needed, customize the file to fit the measurement for the shirt that you are using. My shirt that this design is sized for is a size large. 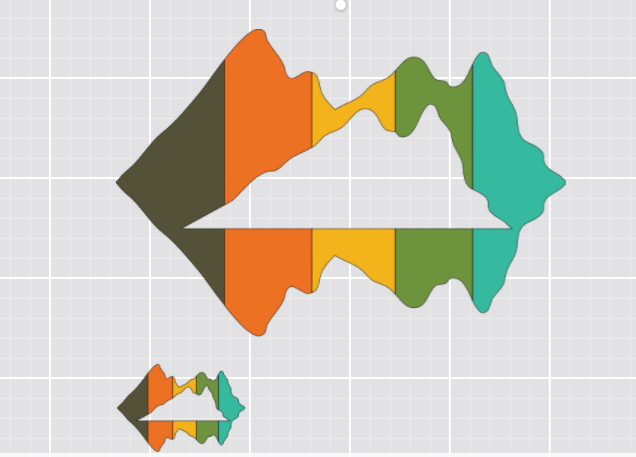 Determine which order you would like the colors to be in the mountain design. Send the project to the Cricut machine and cut. Be sure to MIRROR your image and place the HTV shiny (liner) side down! 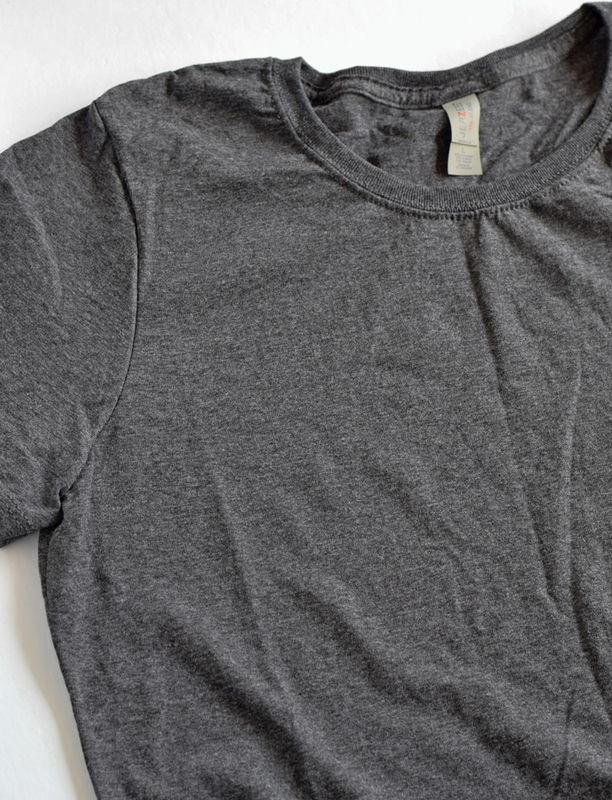 If this is your first iron-on project, read my article on “How to Get an Iron-on Vinyl Project Right the FIRST Time” before starting. Following the instructions in this article, iron the vinyl onto the shirt. To ensure proper placement, I laid the sections out on the shirt before ironing them. Iron the colors one at a time, taking caution to line up each section with the one before it. 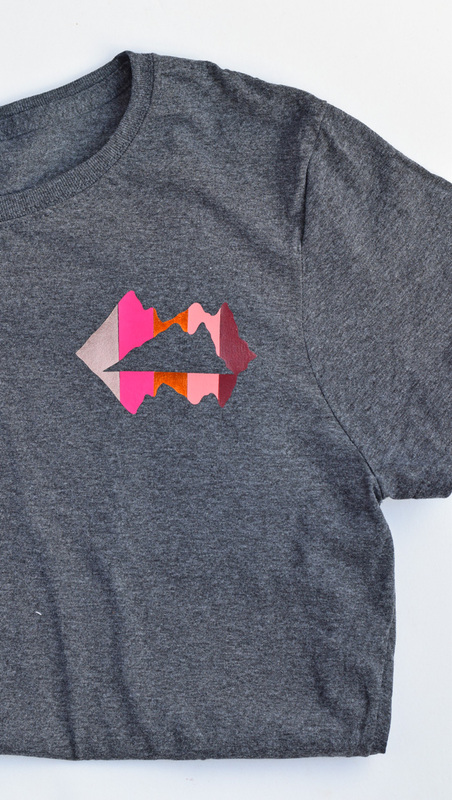 Repeat with the front pocket mountain design. I’m happy with the quality of this shirt from Happy Crafters. If you are looking for a specific shirt, bag, or other clothing item for your next HTV project, check out their selection. The iron-on vinyl is also a great quality. I have washed this shirt a few times with no peeling or vinyl issues. Are you looking for more Cricut related tutorials, ideas, and tips? Check out my Cricut Project Page for lots of them! I love the design and how you made it multicolored. It looks like patterned vinyl. I recently did a project with their vinyl and shirt and was really impressed with the quality!